How much do you REALLY know about Boise and Idaho? Keep reading for the verdict on the top 12 urban legends in the potato state! 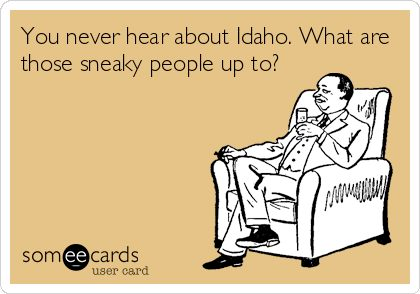 Some parts of Idaho do fit the tumbleweeds and snowdrifts stereotype (there are numerous smaller towns throughout the state), but the capital city, Boise, is actually quite temperate and gets very little snowfall (an average of 19 inches of annual snowfall per year, in fact). Sure, it’ll seem super cold to someone who’s used to living in a more temperate climate like Phoenix or L.A., but our winters are nothing compared to those in places like Minneapolis or Chicago. The thermostat has been known to drop below freezing for a few days at a time, but it doesn’t last long. Winter is a short four months between November and February. Spring and fall are blissfully temperate (with highs in the 60s and 70s), and while our summers can get pretty hot (specifically July; the month’s average temp is around 91 degrees—and we once endured nine consecutive days in the triple digits), it’s a dry heat—which makes it just a bit more bearable. And when the temperatures are that high, Boiseans take to one of Idaho’s many lakes and reservoirs to cool off! Idaho is primarily an agricultural state. this list of states by percentage of farmland (with a mere 22 percent—and that was back in 2004). With approximately 11,800,000 acres of farmland in the state, we’re nothing compared to our neighbor, California, which hosts 26,719,000 acres of farmland across the state … or Colorado, a comparable state, which is covered in more than 30,900,000 acres of farmland. 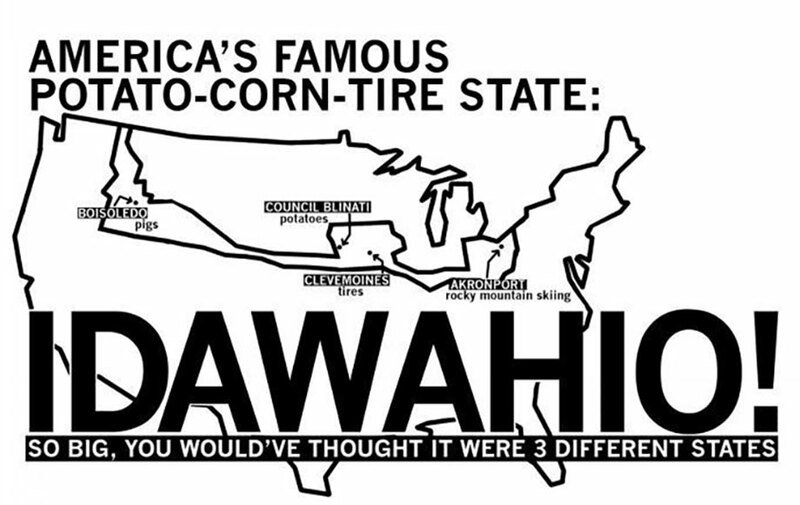 When non-Idahoans are forced to point out Idaho on a map, they usually gesture vaguely towards the midwest—right around Iowa or Ohio. They say something like, “Idaho is shaped like a potato, right?” and assume we all live in log cabins. The truth is, Idaho is actually located in the thriving Pacific Northwest—right there next to Oregon and Washington (and eastern Oregon is less than an hour’s drive from Boise). It’s the state with the most unique shape (which is definitely not a potato) and, okay, maybe a few of us do live in log cabins—but only because Idahoans have a serious love affair with the outdoors. That being said, the nearest metropolitan city is approximately five hours away (Salt Lake City), but Boiseans are more than accustomed to making the trek. 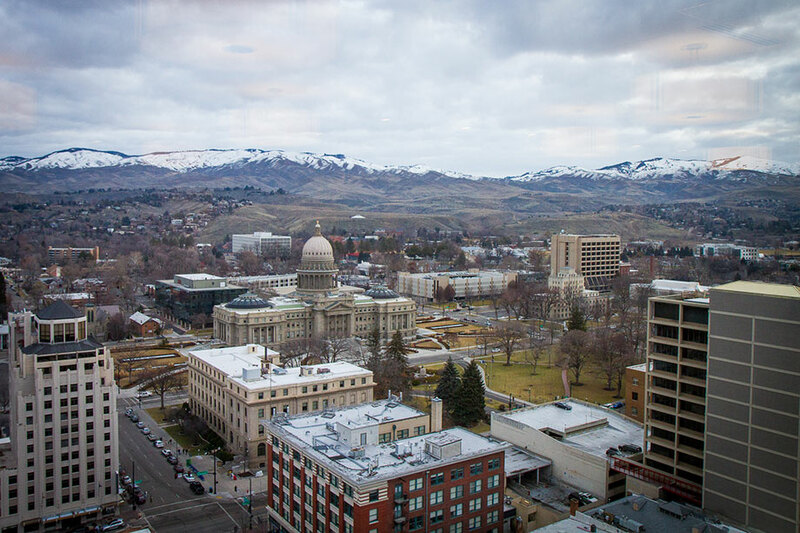 You’ll find that most Idahoans consider the six- to eight-hour drive to Portland or Seattle to be nothing more than a “weekend trip,” and because the big cities are about 300 miles away in any direction, Boise is growing quickly in attempt to compensate for the distance. Big name musicians are starting to swing by more and more often, big city restaurants and stores are popping up on every corner, and the temptation to leave the Treasure Valley is shrinking by the day. Idaho has a median elevation of about 5,000 feet—landing us at number six on the list of states with the highest average elevation. Our highest point comes in at about 12,662 feet (the tippy top of Borah Peak), and our lowest point, the Snake River Basin, comes in at 710 feet. As for Boise, we land somewhere in the middle, at a comfortable 2,700 feet. Compared to Denver, the mile high city, Boiseans can breathe deep (without the side-effects of altitude sickness). Idaho is home to the Aryan Nation. The leader of the Aryan Nation, Richard Butler, did indeed make his home in northern Idaho (near Hayden, Idaho, from 1974-2004). Until his death in 2004 Butler and a handful of followers, largely ex-felons, hosted the Aryan World Congress in Northern Idaho (many of the attendees were arrested on pending warrants as they left the event each year) and perpetuated numerous hate crimes throughout the country, including the murder of Jewish radio host Alan Berg and the shooting at a Jewish daycare. The Aryan Nation was finally hit with a massive lawsuit and forced to close due to bankruptcy in the year 2000. Butler’s death in 2004, increasing penalties for hate crimes, and the diligence of local human rights organizations mean that northern Idaho is no longer home to a small but active racist stronghold. While it’s been more than a decade since Butler and his small group of followers used northern Idaho as a home base for acts of domestic terror, the idea of Idaho being connected to the Aryan Nation persists but is, thankfully, no longer true. We have a Governor named Butch Otter. 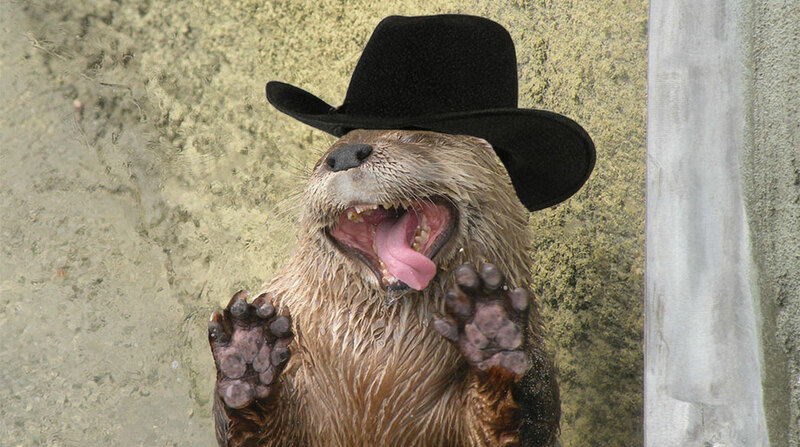 Idaho’s 32nd Governor is most often referred to as “Butch,” but his lesser known given name is Clement Leroy Otter. Idahoans are a bunch of gun-toting yokels. We do have some yokels, but doesn’t everywhere? 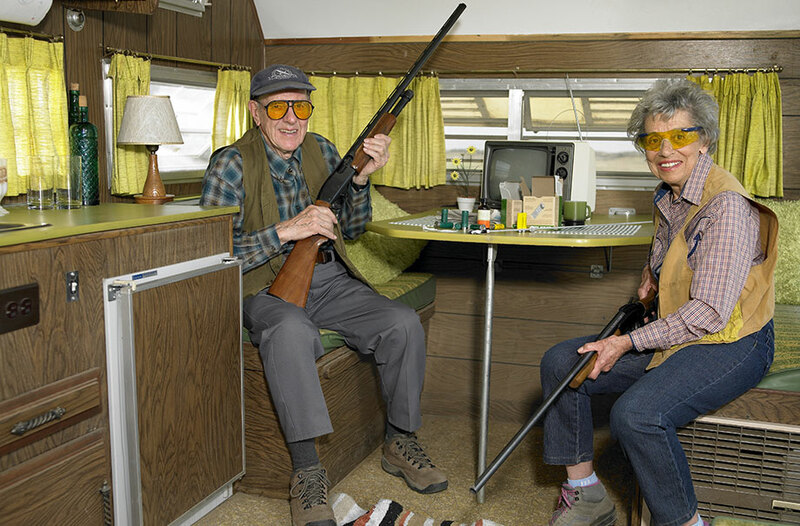 As for gun-toting … well, Idahoans do own a significant amount of guns. In fact, more than 55 percent of the population owns/carries a firearm—which places us in the top 5 on the list of gun-toting states. That being said, Idaho experiences around 12 gun-related deaths per year, which is a far cry from California’s 1,257 … or even Oregon and Washington’s combined 129—making Idaho one of the safest states in the Pacific Northwest. At least … the state in which you’re least likely to get shot. Did you catch that? Despite having a higher percentage of gun-toters, we’ve got one of the lowest gun-related death rates! Check out this chart at Wikipedia for more information. TV was invented in Idaho. 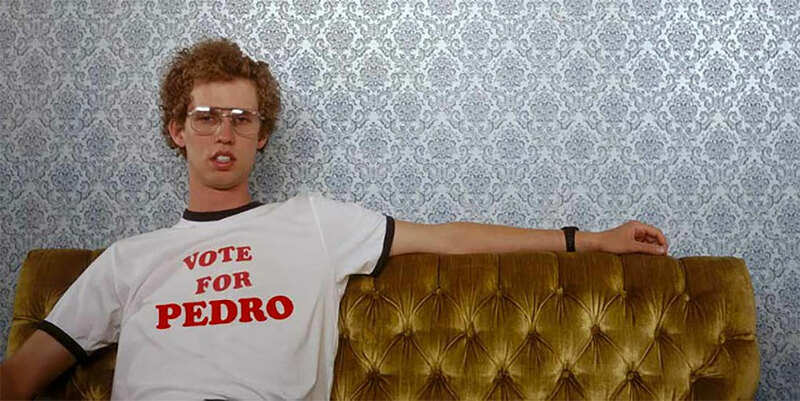 Napoleon Dynamite was filmed in Idaho. But if you think Boise is all llama’s and ligers, you’re wrong. The film actually takes place (and is filmed on location) in Preston, Idaho—a small town just above the Idaho/Utah border. And while Preston is home to a mere 5,000 people, the town isn’t quite as behind the times as the movie might indicate (decades). Since the film’s release in 2004, Preston has become something of a tourist attraction (much to the disdain of the townspeople), and Idahoans everywhere have been inexorably linked with the low-budget movie. Kids in Idaho light their armpit hair and poop on fire. the small toilet paper fire sparked a wildfire that burned over 73 acres of dry brush in Idaho’s foothills. And this isn’t the first time flaming TP has caused a problem—in recent years, the Bureau of Land Management has taken great pains to remind Idahoans to bury their waste, not burn it. There are alligators in Idaho. Idaho Fish and Game approved habitats—surrounded by a “two-foot deep concrete wall topped with a sturdy cyclone fence and barbed wire.” In fact, there are several alligator farms scattered throughout Idaho. The gators provide a handy and efficient way to dispose of the piles of dead fish accumulated by Idaho’s many fish breeders—and a cool field trip attraction for science classes everywhere. Idaho invented the french fry. The term “french fry” might clue you in on who actually invented the cheeseburger’s best friend (hint: It was France), but we’re proud to say we did invent the first frozen french fry. At least, Idaho native and french fry connoisseur J.R. Simplot did. In 2007, J.R. Simplot was named the 89th richest American by Forbes magazine, but in the 1920s, Simplot was simply an Idaho potato farmer. By the 1930s, Simplot had built the largest potato-dehydrating plant in the world (which allowed him to supply dried potato products to U.S. troops during WWII), and by the time the 50s rolled around, he had invented the freeze-dried french fry. In the mid-60s, Simplot signed a deal to supply french fries for the ever-growing McDonald’s empire and the rest, as they say, is history. Despite Simplot’s death in 2008, The Simplot Company remains one of Idaho’s largest enterprises—and the sole provider of McDonald’s french fries.